The Opencart Stripe Payment Method provides a stripe payment gateway at the time of checkout. It will work Live as well as Test mode. Stripe payment method handles everything like currency mapping, card/address validation like CVC etc. Admin can set min/max price for payment. 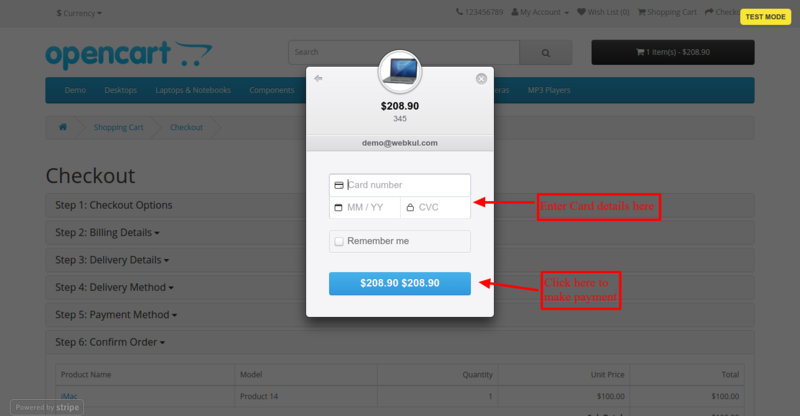 Admin can add multiple options at the time of checkout for customers like – Remember Me, Email, Shipping/Billing Address. 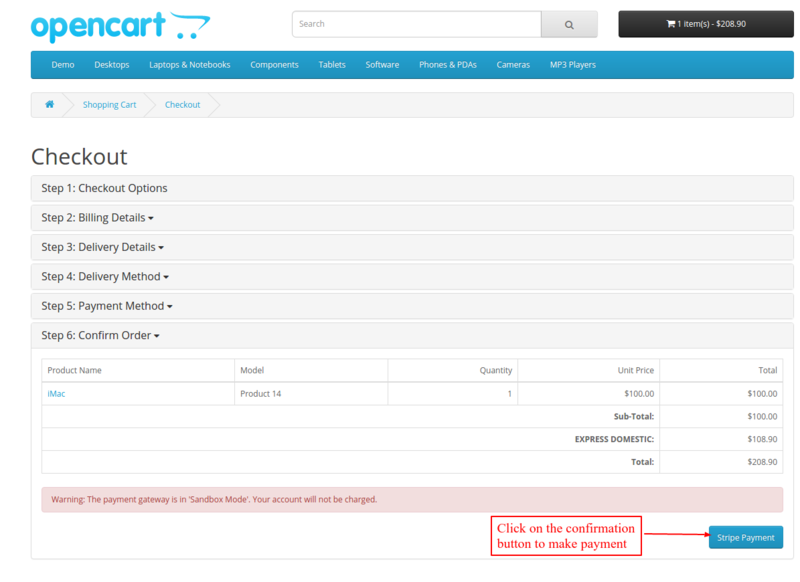 Admin can refund payment from Opencart end. Custom order status as per the Order process of the customer. Set the payment to acceptance for selective Geo Zones. Allows saving customer data to be charged them in future. 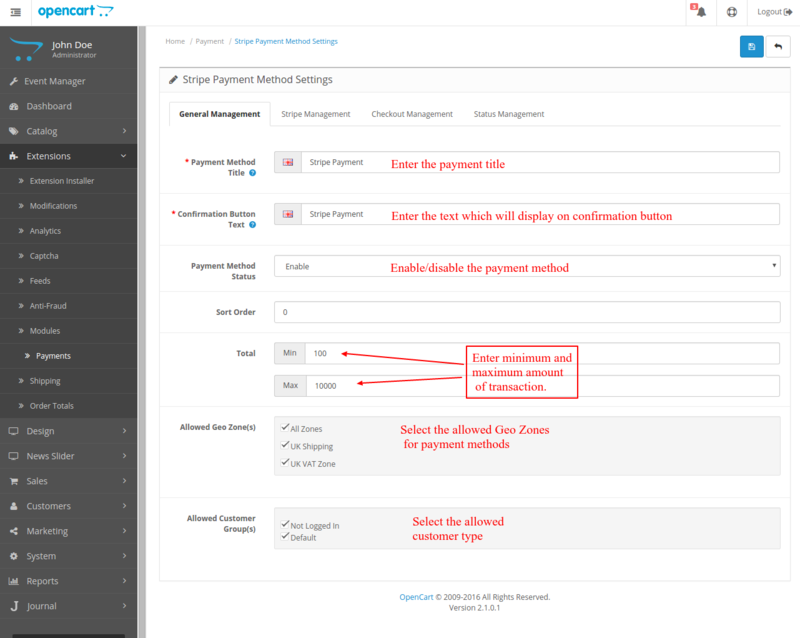 Admin can map the payment conditions with the payment status. 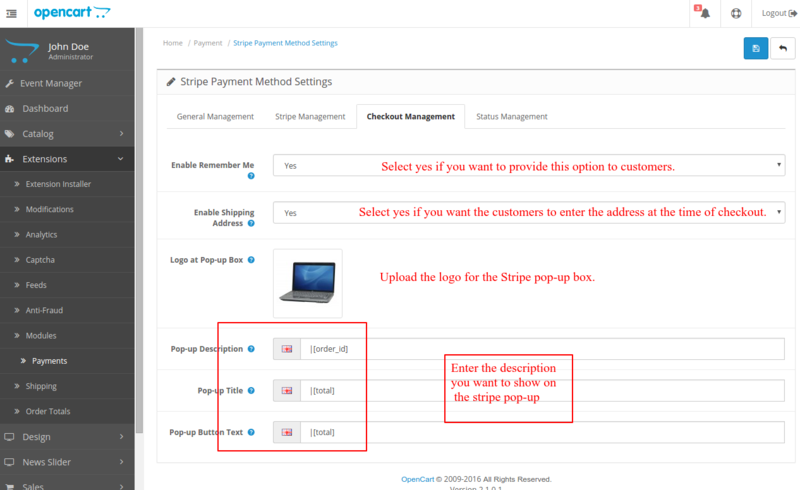 Installation of the Stripe Payment Method module is simple. After unzipping the main folder, you will find the folder. You need to choose the folder according to your opencart version. For Opencart 2.x.x.x open Stripe_Payment_MethodV2.x.x.x folder, you will find admin, catalog, ocmod and stripe-lib folders. You just need to move admin, stripe-lib and catalog folder to the root directory of your opencart website. Once you have uploaded the file then login to admin and from catalog section go to Extensions> Extension installer and upload the xml file. The xml file can be found within the ocmod folder. 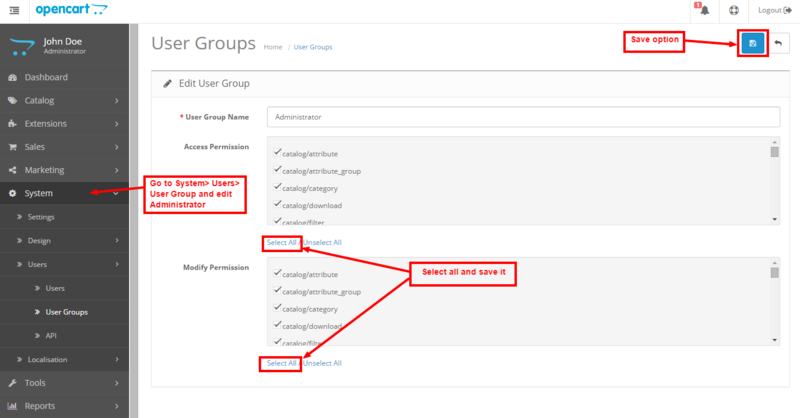 After that in Admin panel go to System -> Users -> Usergroup and edit ‘Administrator’ and select all for both Access and Modify Permission and save it. 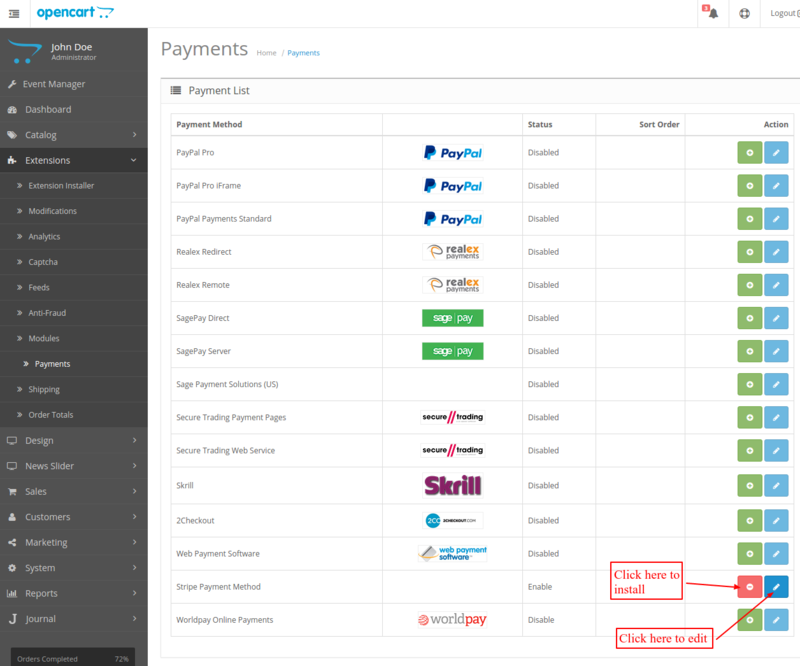 After that under Extension >Payements, install the Opencart Stripe Payment Method. 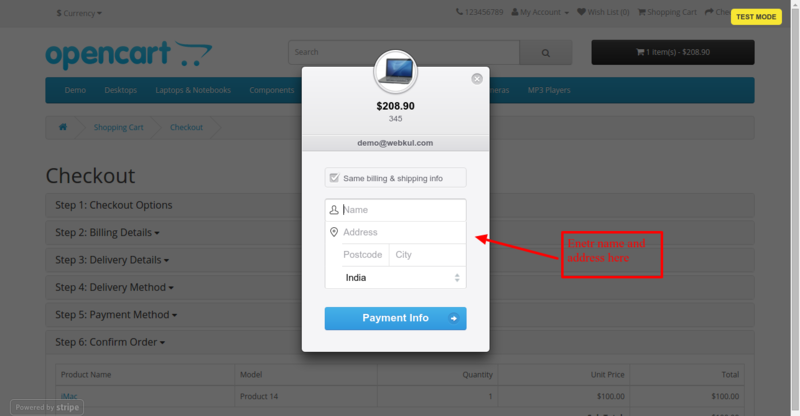 After clicking on the edit option, you can configure the stripe payment method. Under General Setting tab Add / Select option for Payment visibility for customers. 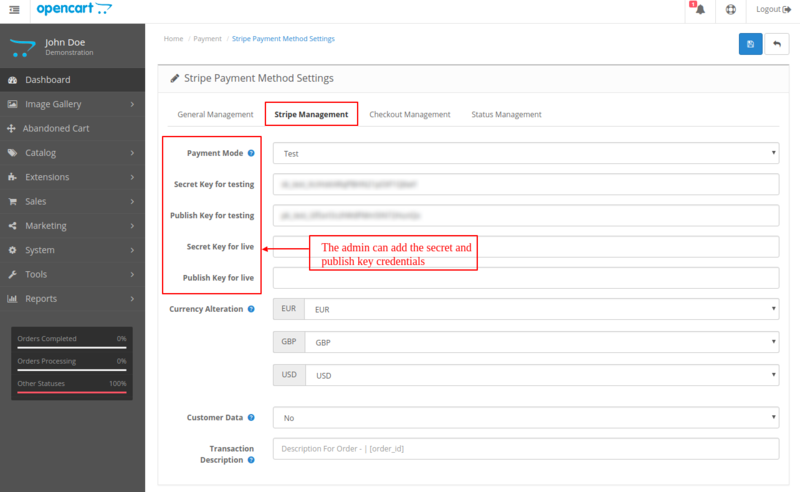 Under Stripe Management tab – Select the Payment Mode(Test/live). Admin can also add the secret and Publish key for testing or live. Currency Alteration – The admin can select the currency that will be charged to the customer at the time of payment. If it is disabled and the customer is using a disable currency at the front end then the stripe payment method will no longer be available for the payment. Customer Data – If set as “Yes” then the customer profile will be created from the customer data at stripe using the email address( provided at the time of placing order). The credit card which is used for payment will be attached to this customer, allowing you to charge them again in future in the stripe. Transaction Description – You can add the text that will be sent as transcription description. 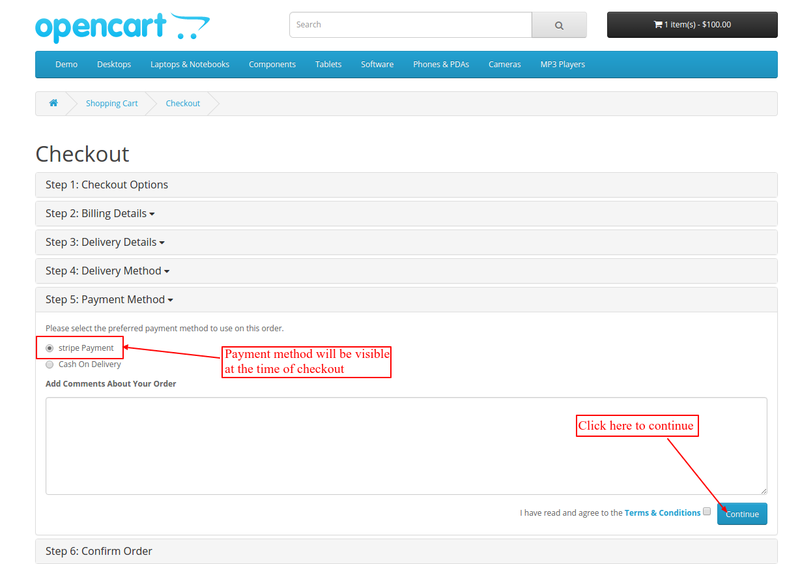 Under Checkout Management – Add / Select option related to Opencart checkout for customers. Under Status Management, the admin can edit the status for different status conditions as shown in the image below. If customer’s details full fill the conditions which are set by the admin then this method will display to the customer at the checkout page. After selecting the Stripe Payment method click on the confirmation button. After clicking on the confirmation button, the customer will receive a pop-up to fill details. After filling customer’s details card details is needed to be filled. 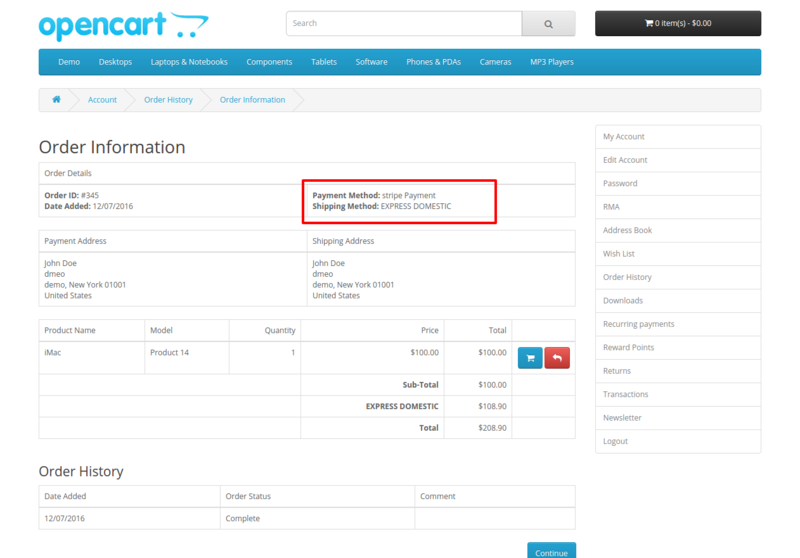 After payment is complete the customer can see the payment method on the order like this. 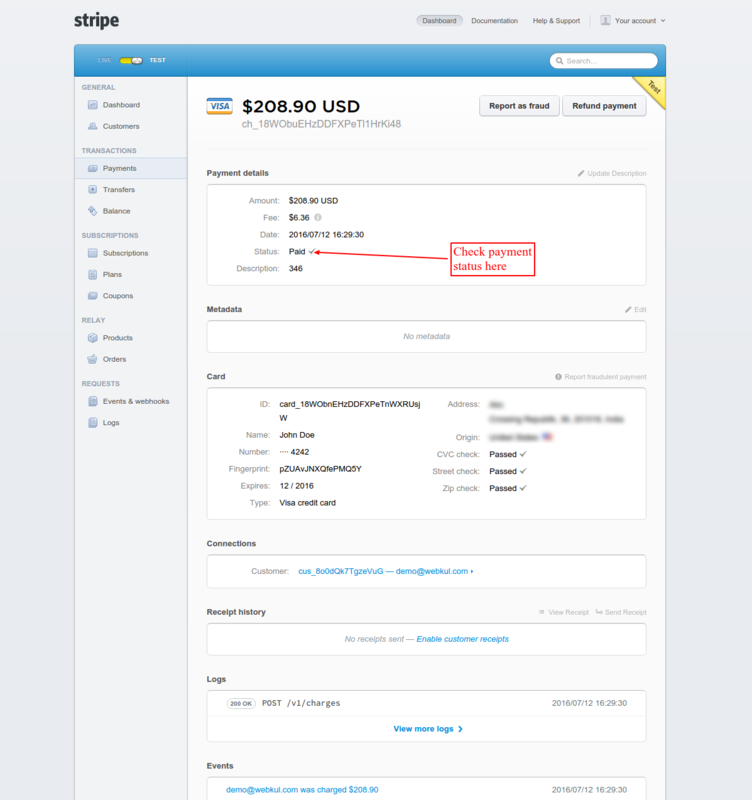 Admin can see details under Stripe account by navigating to Payment->View All Payments. If Admin has enabled the option to create customers, then admin can see created customers by navigating to the Customers option. 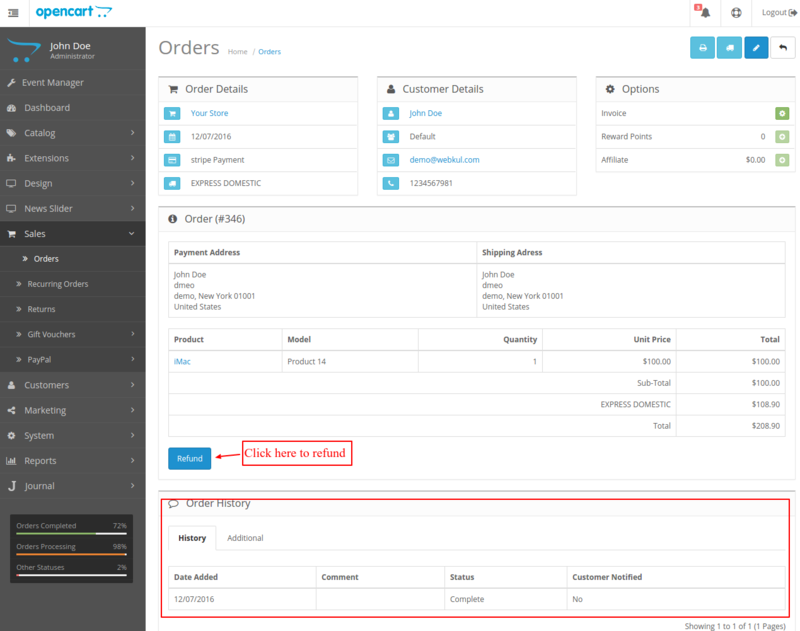 An admin can make the refund for a purchase from order detail page from the admin end. After that, the order status automatically changes to ‘Refunded’. Admin can also see the order status under Stripe account after refund. That is all for the Opencart Stripe Payment Method. If you still have any issue feel free to add a Ticket and let us know your views to make the module better https://webkul.uvdesk.com/.